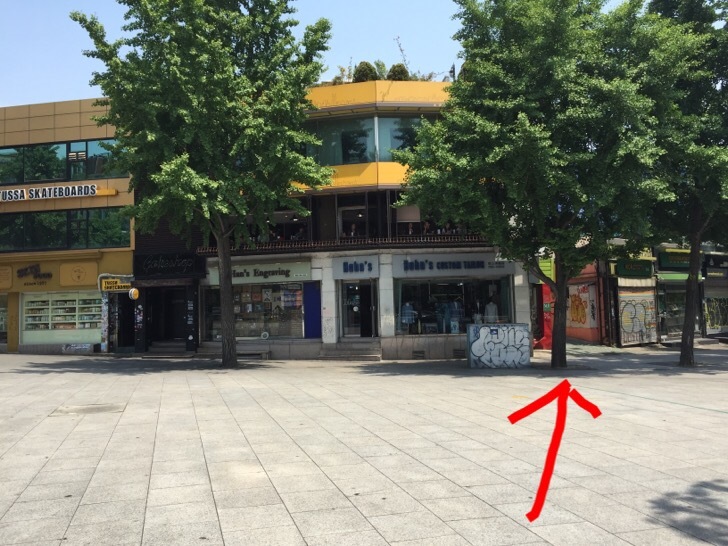 When I heard that there was authentic BBQ in Seoul, I was definitely skeptical, but hopeful. Scott and I definitely love some yummy Que! 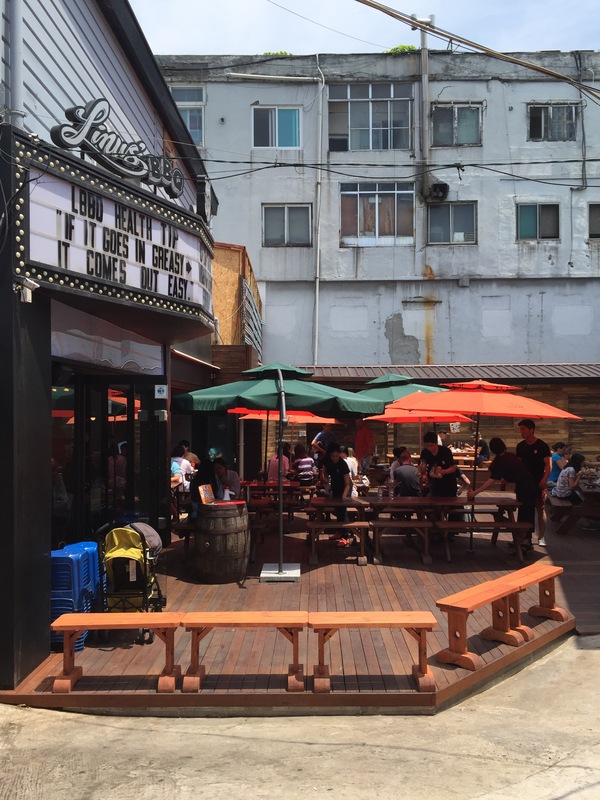 After doing some research on Linus BBQ in Itaewon, it is owned by Linus Kim who is Korean American. He lived in Birmingham Alabama and makes competition quality BBQ. Linus has a nice menu, some classics like fried okra and smoked mac n cheese. They have a very nice selection of BBQ meats, but make sure if you have a hankering for Spare Ribs to only go at dinner (these are not served at lunch time). Since we couldn’t get the spare ribs, the waitress said that they had a BBQ Beef Rib special and we said sure (note to future customers of the Beef Rib, it was 59,000 won!!). We also ordered the fried okra, onion rings, and smoked Mac n Cheese. 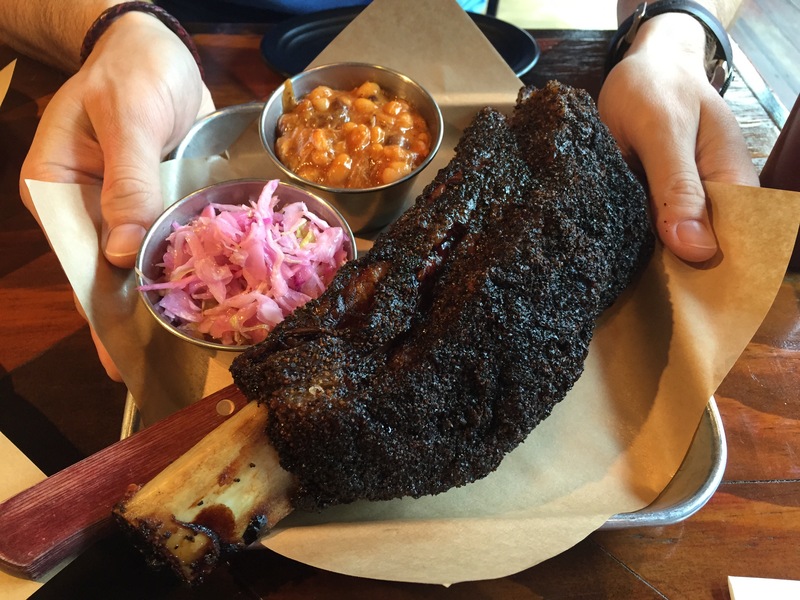 When our food came we were shocked by the Beef Rib, it was enormous! It also came with baked beans and slaw. We quickly covered the rib with BBQ sauce and went to town. It has a very nice smoked flavor. But I think due to the size, the fat didn’t cook down as much as regular pork ribs do, so it was a little fattier than we would have liked. 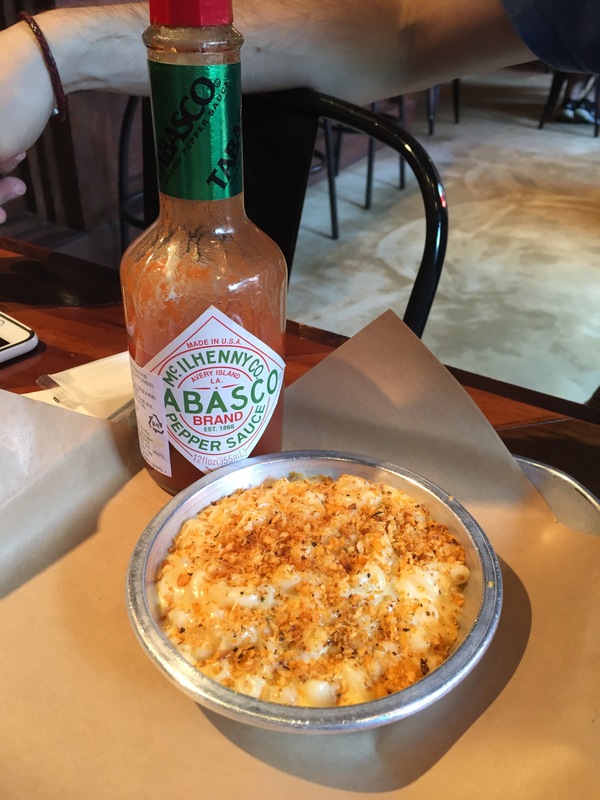 The sauce at Linus is quite good though, nicely balanced. On to the sides. I loved the fried okra! 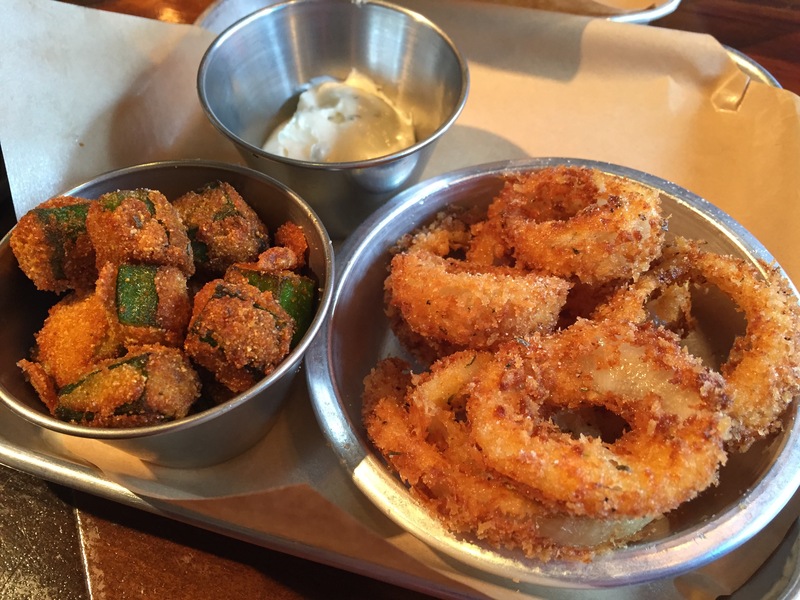 The batter on it and the onion rings seemed the same, but they have a great seasoning on them. Overall fun atmosphere. Great BBQ and yummy sides. We’ll definitely be back to try the Spare Ribs (22,000 won for a full slab). If you have a hankering for BBQ, make sure you go by. What’s the pink stuff on the rib platter?